In what I hope to make an annual tradition, here is a list and brief impression of the historical novels I read this year. 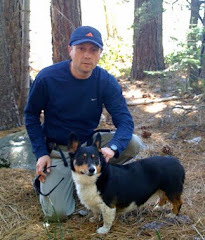 I was fortunate to have some of these authors as guests on my blog; others I hope to invite. Some of these books I read for pleasure, some for review and some for research; some were released in 2008, others will be released in 2009 and others are older books I just happened to discover. Overall, for me, this was a banner year as I enjoyed almost every book I read. Pauline Gedge returns to form in this brilliant first installment of a trilogy about the rise of a magician priest to the Pharaoh Ramses. Eerie, magical, and filled with details of life in ancient Egypt. This beautiful novel is about a sea monster who is captured and brought to Versailles, and the effect it has on a bold young woman in the court of Louis XIV. The deadly War of the Roses as seen through the eyes of a brave woman determined to safeguard her family from the destruction. She's been written about 1,000 times; but I must admit, Karen Essex's two-volume novel is my favorite portrayal of the legendary Egyptian queen. It's witty and gorgeously rendered. 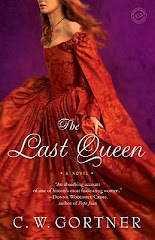 I liked her Josephine B. trilogy; but I fell in love with this exquisite portrayal of Louise de la Valliere and the beginning of the Sun King's extravagant reign. This six-volume re-issue in Spanish of Druon's masterpiece series brings to unapologetic life all the intrigue, cruelty and recklessness of medieval France. No author has ever made me revel so much in such despicable characters. This debut about a female gladiator is as fast-paced and thrilling as a trip to the arena. If Angelina Jolie signed up for the film version, she'd make Crowe's Gladiator look like a wimp. Elegant rendition of the story of the famed Elgin Marbles, as told through the eyes of the wife of the man who brought them to England and the courtesan lover of the Greek lord who commissioned them. Compulsively readable, creepy thriller about a medieval forensics expert and a serial killer of children. 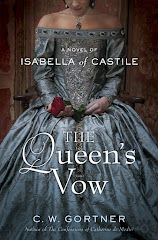 My favorite book of hers; fast-paced and at times quite humorous, it tells the intertwined stories of giddy Cat Howard, resentful Jane Rochford, and sage Anne of Cleves. Guess who survives? Two of the most exquisite novels I read in 2008, the first about the making of the Bayeux Tapestry and a doomed love affair; the other about a Jewess caught in the tentacles of the Borgia clan. The language is breathtaking and the stories finely crafted as music boxes. 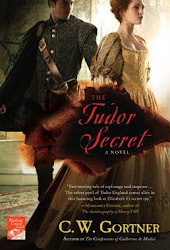 An unrelentingly grim tale set in Tudor England, about a young woman's determination to rise in power and the chaos she unleashes on a local lord's household. Unsettling, masterful evocation of the historical Dracula as seen through the eyes of his three intimates. 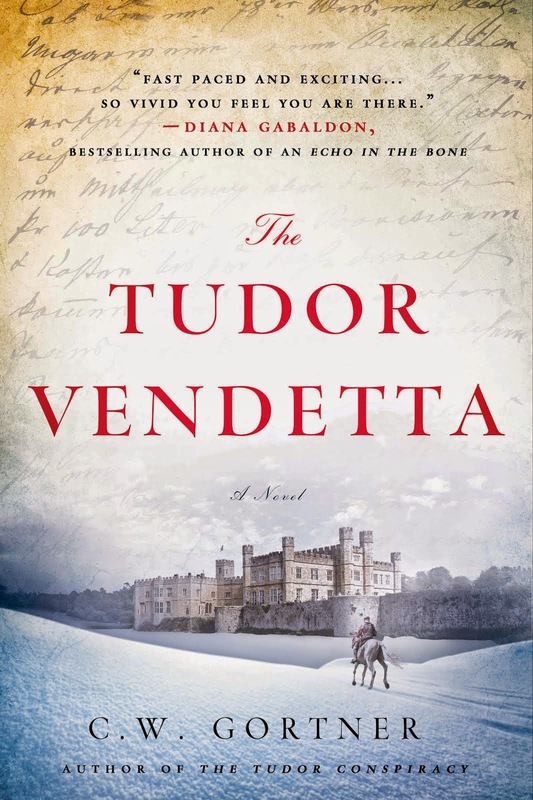 First in a trilogy about a youth's adventures in the ranks of the Templars, this was an unexpectedly exciting read with much more going for it than the ubiquitous DaVinci Code link. Michelle Moran returned to ancient Egypt in her sequel to Nefertiti and delivered a balanced, nuanced look at the doomed queen's niece and her struggle to become queen in her own right. This fascinating, erudite tale of Leonardo da Vinci's mother brings Renaissance Florence to vibrant life. It will be released in January. Look for more about this book on this blog soon! Good, if basic, account of the Borgia family and their influence. I read it for research and discovered some tidbits. Catherine Delors' masterful debut about a naive young woman caught up in the terrors of the French Revolution and her struggle to find her own independence. Another creepy read, about an older medieval woman's descent into torment as she battles her own memory loss and a family member's accusation of witchcraft. A stylish paen to Victoriana, this tells the story of Bram Stoker's inspiration for his famous vampire novel. While working as a theatre manager, Stoker becomes immersed in the killings of Jack the Ripper. Extensive footnotes add to the feeling of stepping back in time. 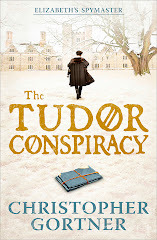 I love this Tudor series about Shardlake, the hunchback lawyer, and this is one of the darker entries yet, as Shardlake races to save a boy caught up in a religious frenzy and stop a serial killer who is murdering people with Biblical-styled wrath. 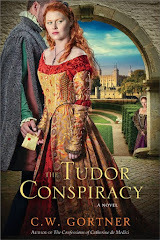 This account of Arthur Dudley, alleged illegitimate child of Elizabeth I and Robert of Leicester, is distinguished by its scholarship and the intertwined stories of Elizabeth's struggle to assert her queenship over her heart, and Arthur's adventures as he travels to Flanders and Spain. Another ARC I read, this unusual look at the world of 15th century Venetian chefs and hermetic secrets exalts the effects of food on the soul, and the sacrifices we make to preserve our truths. Lovely, detailed tale of the building of the Taj Mahal and of the forbidden love between the royal daughter of the king who commissioned it and its humble-born architect. My favorite Reverte book to date, an elegant thriller about a stoic old-fashioned fencing instructor in late 17th century Spain and a mysterious woman who turns his world upside down. Dark and twisting, this tale of nine travelers trying to elude their own secrets and the Black Death in 14th century England captured me from the first page to the last. Happy reading to you all in 2009! It seems like ages since I last posted and I wanted to wish you all a very happy holiday season and New Year. I actually am just getting over the most evil cold in the universe, which felled me shortly before Christmas. I'm on the mend but still a bit woozy from the massive amounts of decongestants I imbued. 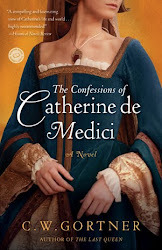 On the book news front, I've received some new revision requests from my editor for The Confessions of Catherine de Medici, which I'm currently at work on. While it feels as though this book simply refuses to leave me, in truth my editor's comments were very insightful and so I'm tackling this latest- and hopefully, final - revision in the spirit that it gives me an opportunity to highlight the book's characters and themes. I'm quite excited about the revisions, which is great, as I'll need all the passion I can muster to make my March 15 deadline! If all goes as planned, the book will be on the spring 2010 publicati on schedule. And lastly, while I was sick, I read a terrific debut novel titled Company of Liars by Karen Maitland. Set in 14th century England during the time of the Pestilence, this is a chilling, riveting tale of nine travelers who come together seemingly by accident and forge an uneasy alliance in order to outwit the black death. As narrated by the one-eyed relic hawker, Camelot, we journey with them through a collapsing world of flood, fear, and famine, where townships are abandoned overnight to the plague and the road harbors both criminals and fugitives. As the travelers begin to sense an unseen presence stalking them, they must either face the secrets within their midst or fall prey to a force intent on destroying them. Along the way they will confront who they are to each other, and most importantly, who they are to themselves. This is a captivating novel; beautifully rendered, dark, frightening, and engrossing, replete with details of medieval life in a time when all semblance of order breaks down and magical in its depiction of the invisible collusion between the physical and the spiritual. The book is available both in the UK and the US. The featured cover is the UK version.